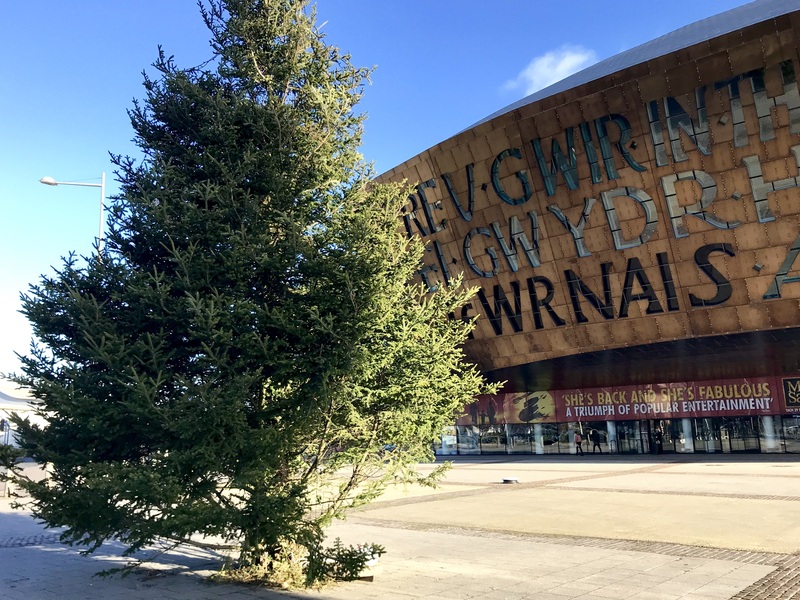 Christmas can be such an expensive time so it’s great to see Cardiff Bay laying on plenty of free festive activities this month. 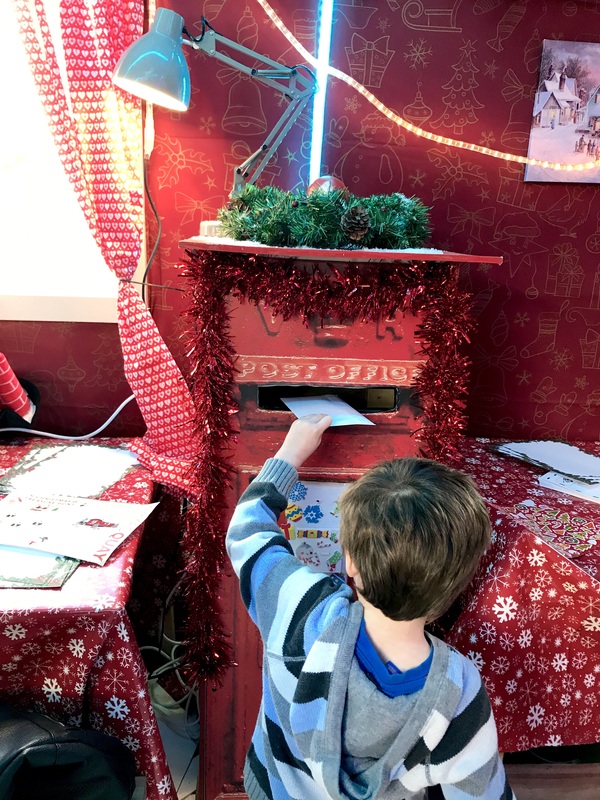 I took Littlest along to Wales Millennium Centre this morning to see their Arctic animal trail, and to write a letter to Santa in Mermaid Quay’s Santa’s Post Train. You can read about both below (plenty of spoilers, so be warned!) plus there’s news of the Red Dragon Centre’s free Do It Your Elf event this Sunday 10th December. 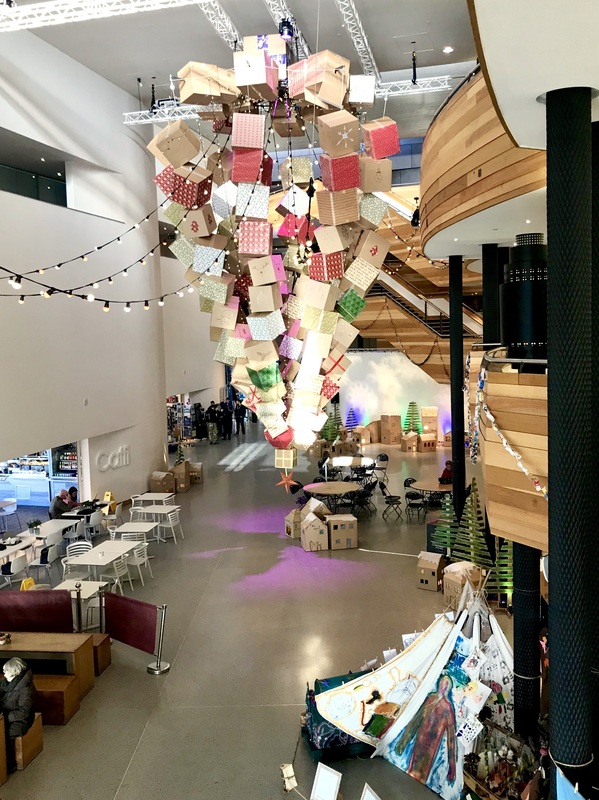 Wales Millennium Centre’s foyer looks incredible! 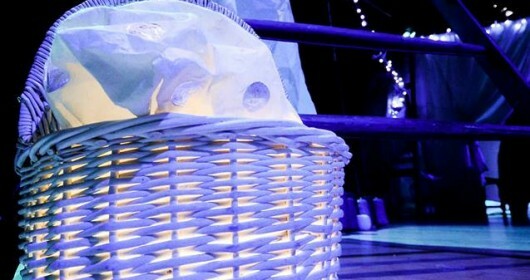 On the left hand side as you enter are giant art installations making the up an Arctic winter trail of animals to spot. 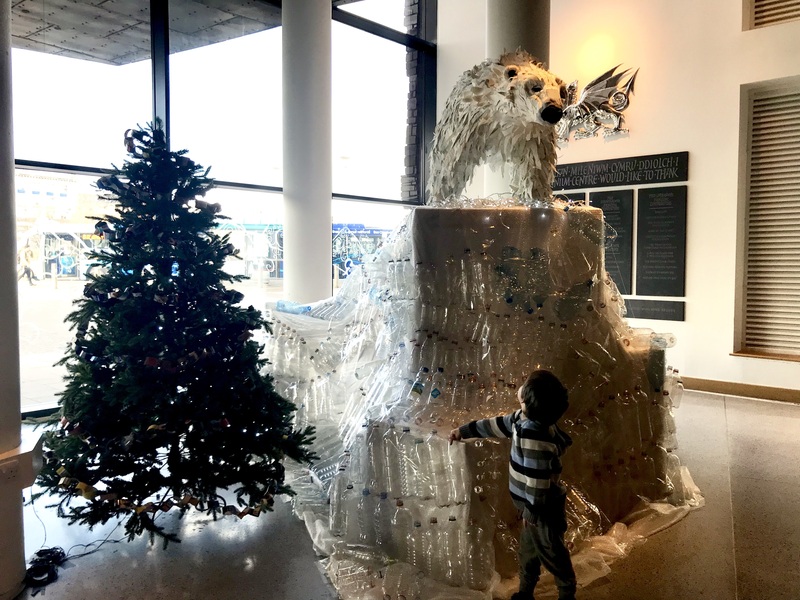 Most have them have been made from recycled materials – a huge polar bear sits on top of an iceberg made from empty plastic bottles. The fur of an Arctic Fox is made of string. The right hand side is an alpine village made from cardboard boxes. 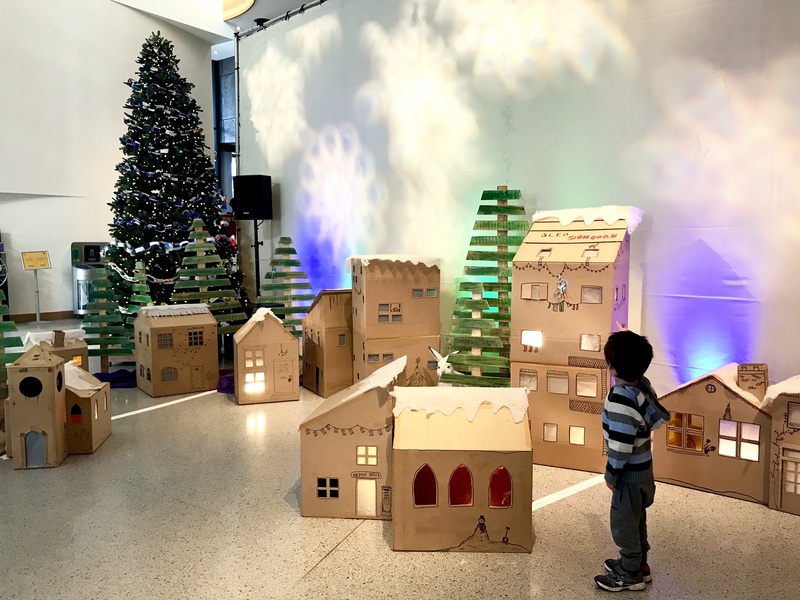 It looks incredible with cardboard houses and buildings, many of them illuminated with lights inside. 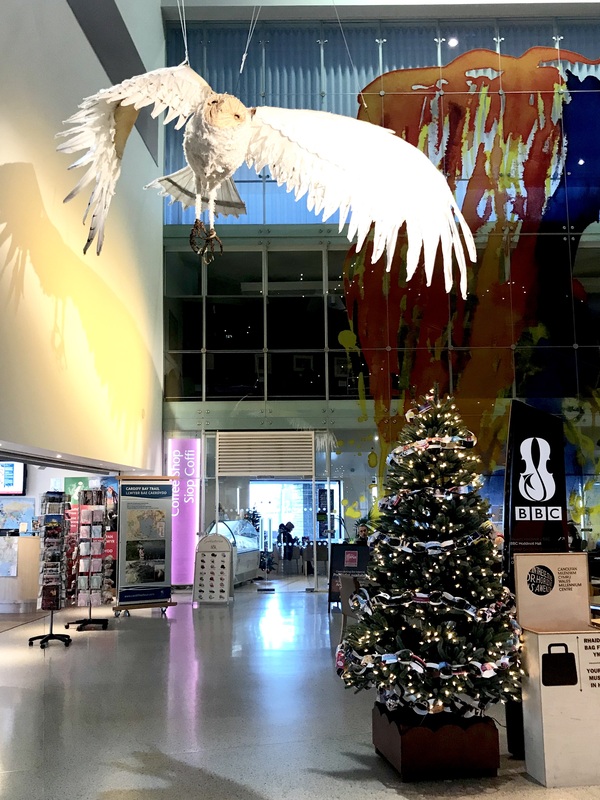 On selected dates visitors can take part in free craft activities such as making paper chains and pom poms as well as listening to festive stories being told. 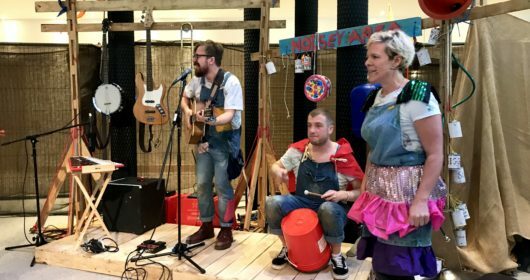 Craft and storytelling sessions run on Saturday 9th and Sunday 10th December and daily from Saturday 16th December until Sunday 7th January (excluding 25th December). There’s also a Polar Walk virtual reality experience (weekends in December plus daily from 26 December-7 January) which will let users come face to face with a polar bear as they walk across the sea ice as part of Greenpeace’s Virtual Explorer. 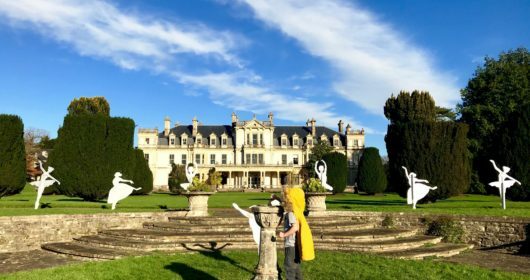 Suitable for ages 13+ this VR experience was created by Greenpeace to inspire audiences by showing them some of the most amazing yet threatened places on earth. 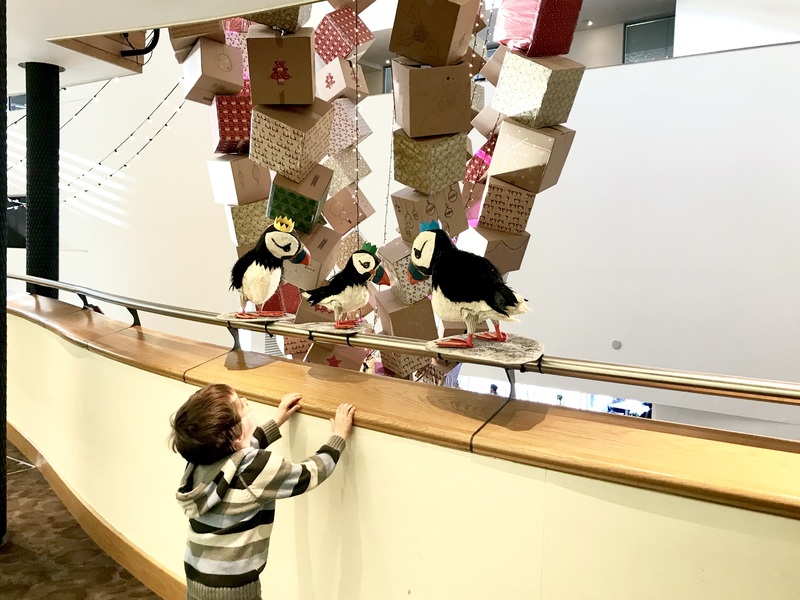 We loved the amazing upside down Christmas tree made from gift boxes and suspended from the ceiling made. 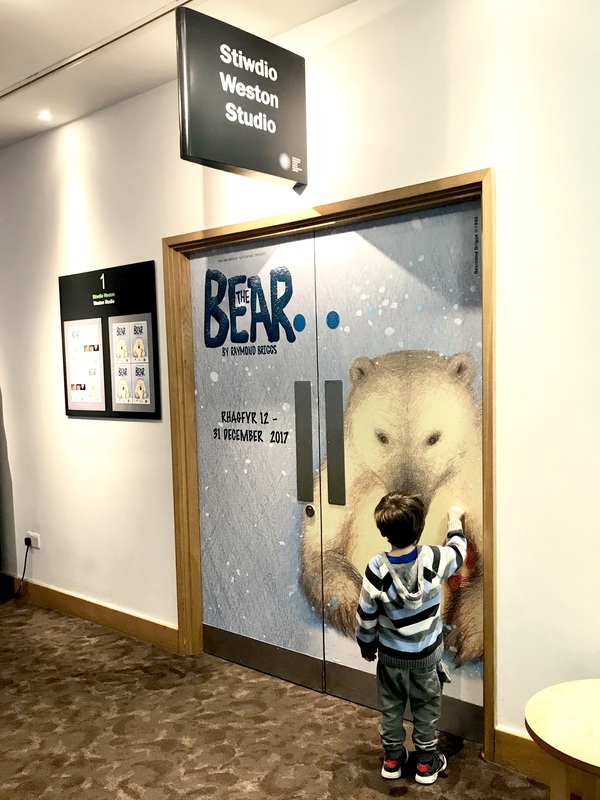 Littlest also spotted The Bear on the door of the Weston Studio. 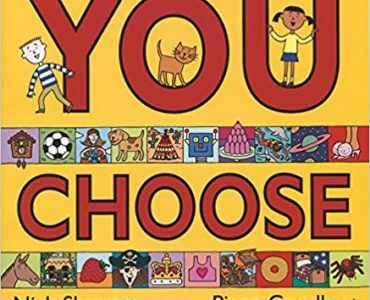 Based on Raymond Briggs’ picture book the show is at WMC from Tuesday 12th-Sunday 31st December with tickets costing £10. 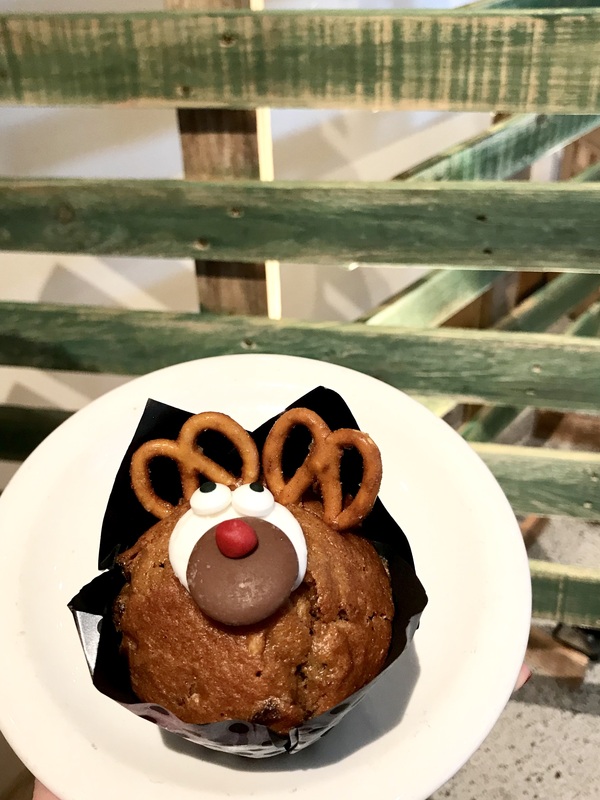 We also stopped by the coffee shop Coffee Mania for a quick drink to warm us up – and couldn’t resist one of these Rudolph muffins. 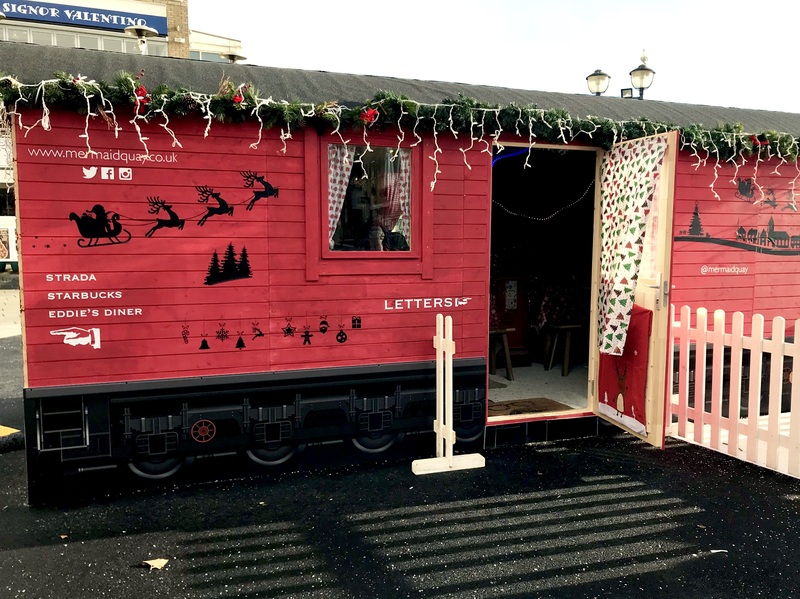 Just a couple of minutes away in Mermaid Quay is Santa’s Post Train and Santa’s Selfie Station. 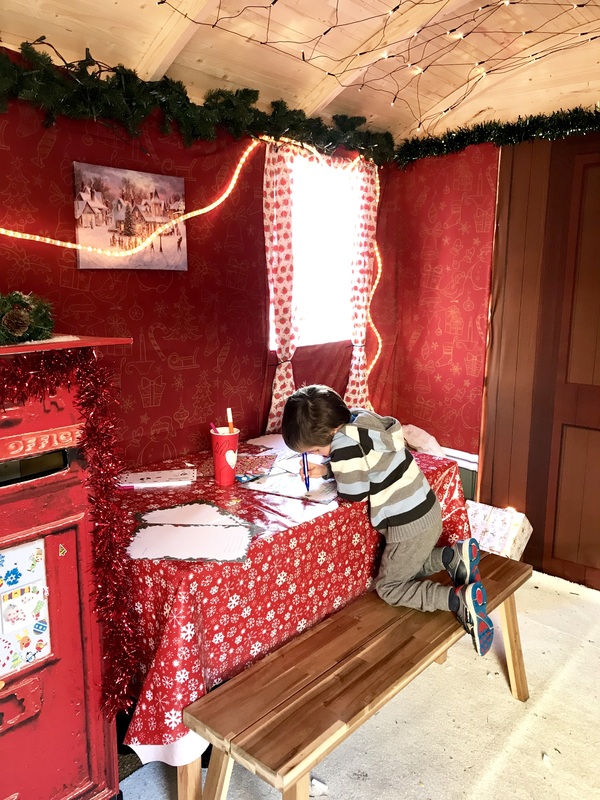 Inside the beautifully decorated red train carriage children can write letters to Santa and post them in the special post box with flashing lights to signal the letter is on its way to the North Pole. 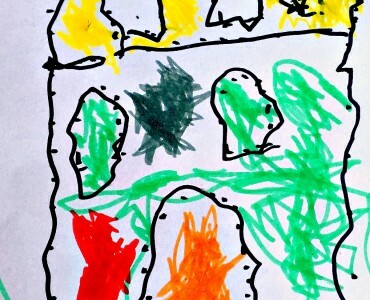 Littlest had great fun sticking all manner of festive stickers all over his letter. 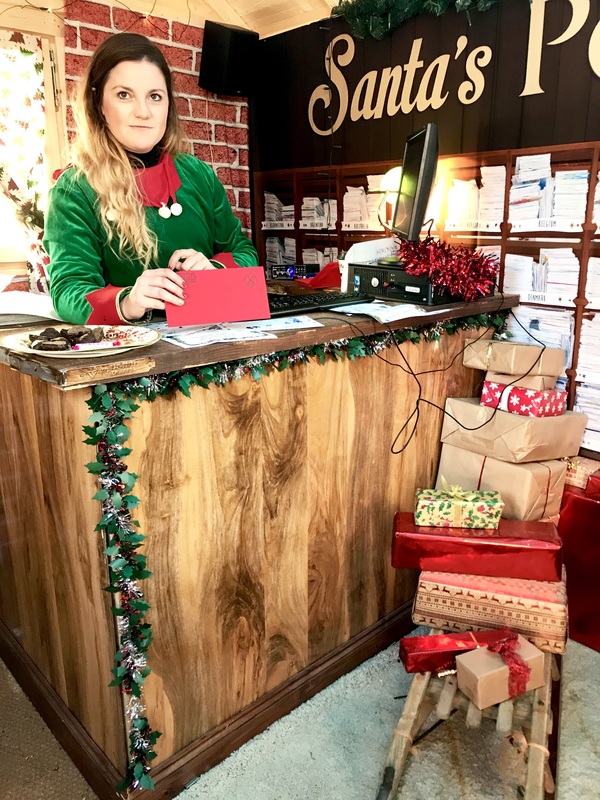 Grown ups can then subtly get a free letter of reply from the elf at the counter. 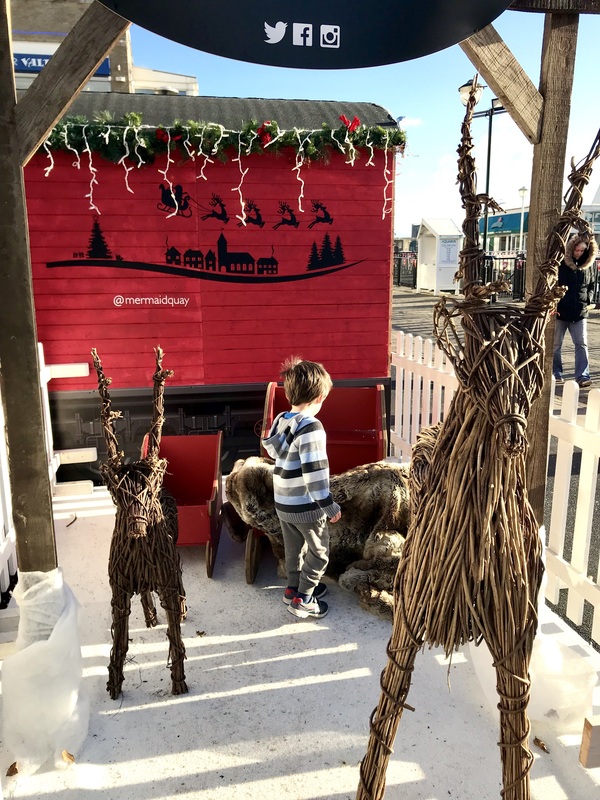 Outside the post train is Santa’s Selfie Station – a sleigh with wicker reindeer that makes for a great photo opportunity. 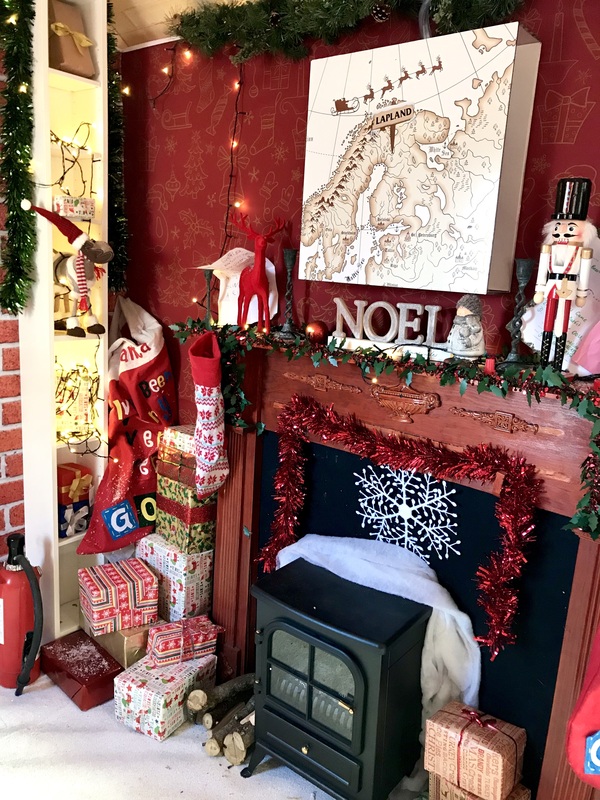 Santa’s Post Office is open daily until Saturday 23rd December from 12pm-5pm. 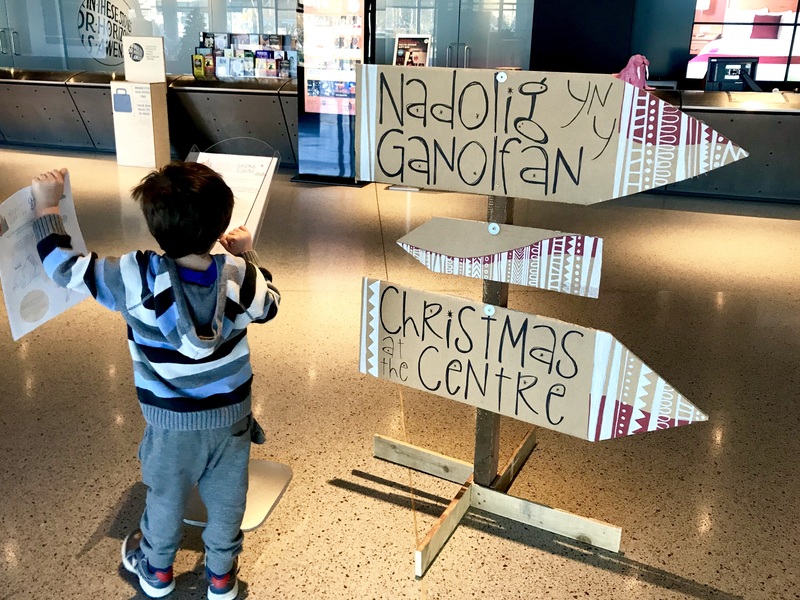 If you’re planning on being in the Bay this Sunday 10th December, then pop into The Red Dragon Centre for their Do It Your Elf activities. 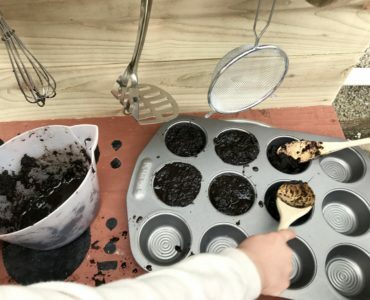 Between 12pm and 4pm, families are invited to drop into a free craft workshop where they can design and take home their very own Elf hat with the help of some of Santa’s most trusted elves! 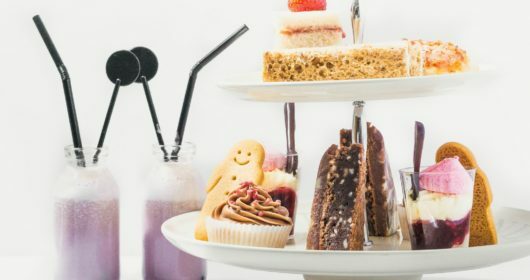 Chief Elf will also be on duty to give out certificates and there will be free face painting of offer at Elfie’s face painting station. 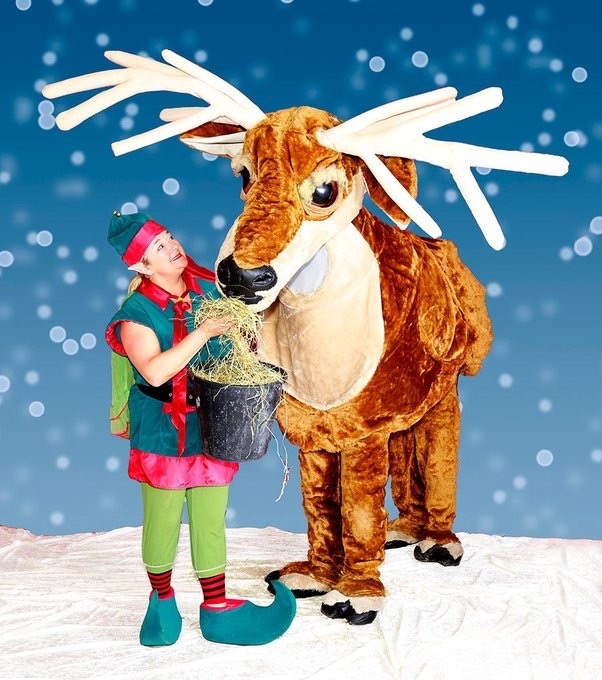 Visitors can also meet an extraordinary elf with her own giant puppet reindeer at 12.30pm, 2pm and 3.30pm and a friendly Christmas Elf on the hour 12-4pm. Repeating the following tongue twister at participating venues will also give you exclusive offers. 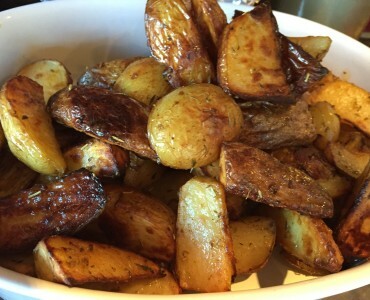 By saying “Santa’s sleigh slides on slick snow” kids can eat free at Grill & Shake and Bella Italia from the children’s menu with the purchase of an adult main. 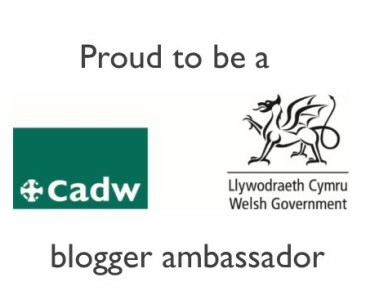 And you can get a free teddy cone filled with ice cream at Cadwaladers. 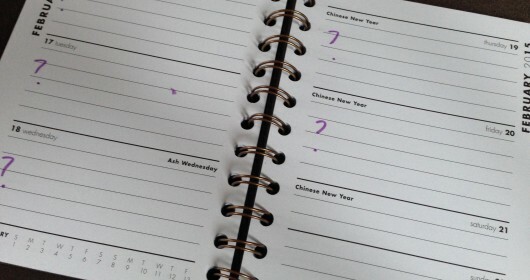 You can read more of our reviews of local festive family events on the Cardiff section of Cardiff Mummy Says. 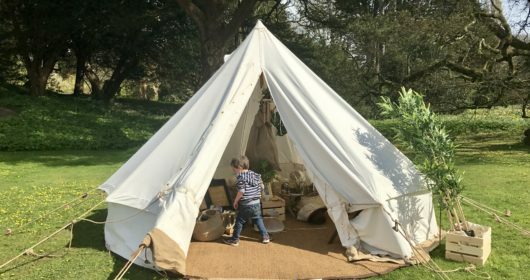 Or follow Cardiff Mummy Says on Instagram for more ideas of days out.